Israeli Intelligence Minister Yisrael Katz declares Israel is willing to use military force to stop Iran from developing nuclear weapons. 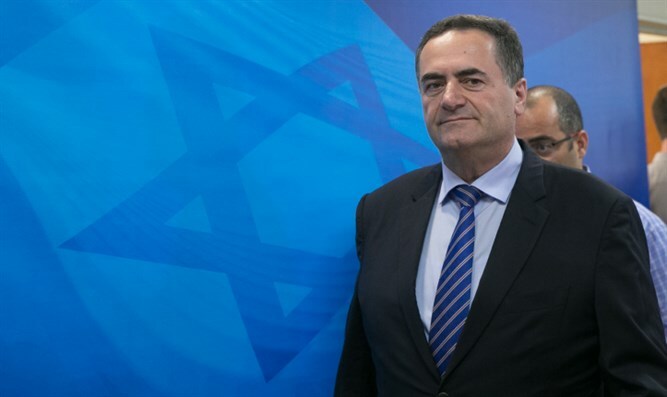 Israeli Intelligence and Transportation Minister Yisrael Katz (Likud) declared Thursday that the Jewish state is prepared to use military force to prevent the Iranian regime from obtaining nuclear weapons. During an interview in Tokyo, Katz said that Israel was hopeful that President Donald Trump’s October 13th decision not to recertify Iranian compliance with the 2015 Joint Comprehensive Plan of Action (JCPOA) would lead to the renegotiation of the deal, but added that Israel would use whatever means necessary to ensure that Tehran does not achieve nuclear capabilities, Reuters reported. "If international efforts led these days by U.S. President Trump don’t help stop Iran attaining nuclear capabilities, Israel will act militarily by itself," Katz said. "There are changes that can be made (to the agreement) to ensure that they will never have the ability to have a nuclear weapon." Israel has in the past intervened militarily to prevent rogue states from obtaining nuclear weapons, including a 2007 strike on a Syrian nuclear reactor widely credited to Israel, and an airstrike in 1981 code-named Operation Opera which destroyed Iraq’s Osirak nuclear reactor. Katz also discussed Israel’s efforts to help President Trump renegotiate the JCPOA, including his own recent talks with the Japanese government, during which he called on Japan’s center-right government to take a firm stand against Iran’s nuclear program. "I asked the Japanese government to support steps led by President Trump to change the nuclear agreement. The question of whether Japanese companies will begin to work in Iran or not is a very important question." President Trump is slated to meet in November with Japanese Prime Minister Shinzo Abe, who’s conservative Liberal Democratic party won a landslide victory this Sunday.